The administrator of Personal Data is KÖNIG STAHL Sp. z o.o. Paweł Maliszewski is the Data Protection Supervisor ( iod@perfectinfo.pl ) . 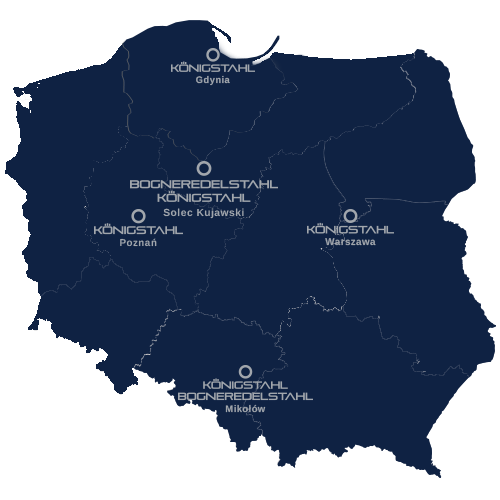 Personal data will be processed on the basis of Article 6(1c) of the Regulation in order to fulfil the statuory and statuory tasks of KÖNIG STAHL Sp. z o.o.and will not be made available to entities other than those authorised by law. 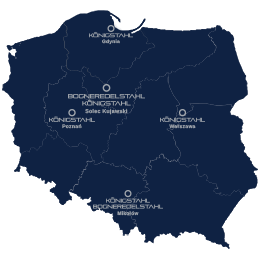 The recipients of personal data are employees of KÖNIG STAHL Sp. z o.o. Personal data will be processed within the period necessary to carry out your service and in accordance with legal requirements. You have the right to access, rectify, erase or delete your data, limitations on the processing, as well as the right to object to the processing and the right to transfer data. You have the right to revoke your consent to the processing of personal data at any time without affecting the lawfulness of the processing carried out on the basis of your consent before it was revoked. You have the right to lodge a complaint with a supervisory authority. Your personal data is voluntary, however, if you do not provide it we will not be able to provide you with any services. You are not subject to automated decision making, including profiling. W Polsce wyłącznym dystrybutorem systemów JANSEN jest KÖNIG STAHL.